You may be wondering if becoming a Communications major will help you obtain a good paying job. Well that’s exactly the same question that both Jessica and I (Jasmine) had. We are both Communication majors that would like to work in the entertainment and digital media industry. When deciding what major best fit our career goals, we found that we needed some credibility to help convince us that com majors can have successful careers. I know you probably have had the same questions as us. You may have even tried researching some of the possible job outcomes for a com major and found it wasn’t satisfying enough. You’re not alone! In the process of doing research about communications we found that a lot of famous celebrities have actually majored in Communications. These celebrities’ stories help prove how diverse the communications field is and how you can apply your study to almost any field of work. Well, if you need some more encouragement and convincing here are 5 celebrities that shockingly majored in Communications. Ellen is a person of many self- made and earned titles. She is a TV host, producer, writer, actress, and comedian. She majored in Communication Studies at the University of New Orleans, but left after one semester to work at a law firm. However, just like any regular young adult, she worked retail jobs and also waitressed. Ellen had a bigger plan in life to fulfill her destiny and later pursued stand up comedy. Spike is a prominent figure in the film industry. He is a producer, director, actor and writer. He also creates commercials and documentaries. He attended Morehouse College in Atlanta, GA where he obtained his B.A. in Mass Communications. Jimmy is a well-known figure in the entertainment industry. You may know him from “Saturday Night Live” or “The Tonight Show”. 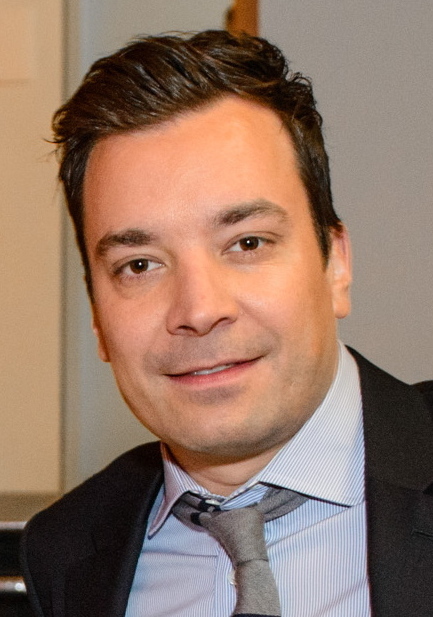 Jimmy Fallon is a comedian, actor, producer, singer, writer and talk show host. He actually studied Communications at The College of Saint Rose which is also located here in Albany, NY. Carrie was the Season Five American Idol winner. She’s also a Golden Globe nominated and Grammy winning singer. Not only does she sing, but she’s also an actress and a songwriter. Carrie attended Northeastern State University in Boston, MA where she studied Communications. Wendy is an actress, author, daytime talk show host and radio personality. She is a very influential figure in the entertainment industry. She was even inducted into the National Radio Hall of Fame. Wendy obtained her B.A. in Communications from Northeastern State University in Boston, MA. These 5 celebrities are just a few of the successful people who majored in Communications. If you’re interested in seeing what other celebrities majored in Communications, you can check out 16 Influential Celebrities You Didn’t Know Were Communication Majors. All of these celebrities had different dreams and goals and their background education in Communications helped them to achieve great things. With a major in Communications at UAlbany, there are concentrations in public mass media, politics, interpersonal interaction/ cultural practices, and organizational communication. Jessica and I wanted to show you how diverse the digital and entertainment field is and that Communications could be the best major to prepare you for your future career goals if these are the types of career paths you’re interested in. Were you shocked that these celebrities majored in Communications? Do you know of any other famous Communication majors? Please let us know in the comments below! And if you found this post helpful, please share and like this post!